Goal: The goal of this campaign was for Trekaroo to use quality photos, videos and writing to showcase the breadth of available state parks, to increase visits to state parks, and to show why state parks are a great mid-summer getaway. Our 2016 State Parks Week was sponsored exclusively by Visit Idaho, who used the opportunity to showcase the Gem State’s state park system, building excitement all July with the hashtag #StateParkTreks. Trekaroo selected key influencers from our Trekaroo Influencer Network (TIN) who either lived in Idaho and/or were familiar with Idaho state parks. 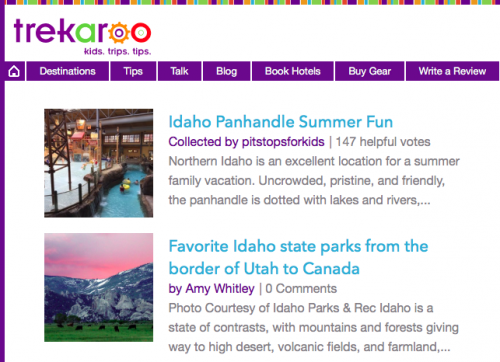 These bloggers were handpicked for a multi-part campaign: each blogger and her family wrote about a favorite family memory in an Idaho state park, which was showcased on both their own blogs as well as on Trekaroo. They also participated in live social media during our #StateParkTreks Facebook party, and promoted their blog posts during a fun giveaway. Visit Idaho was able to further promote their state park system in a series of Trekaroo Guides, which outlined itineraries for families visiting Idaho. The #RealFoodRocks hashtag was promoted across Twitter, Instagram, Facebook and Pinterest by Trekaroo and the blogger team. This small influencer team packed a punch on social media reaching close to 1.5 million impressions across all channels combined. The collaborative and integrated social media game plan worked beautifully as we hoped with very strong engagement through retweets, likes, and comments on social media, further driving distribution to secondary and tertiary audiences. 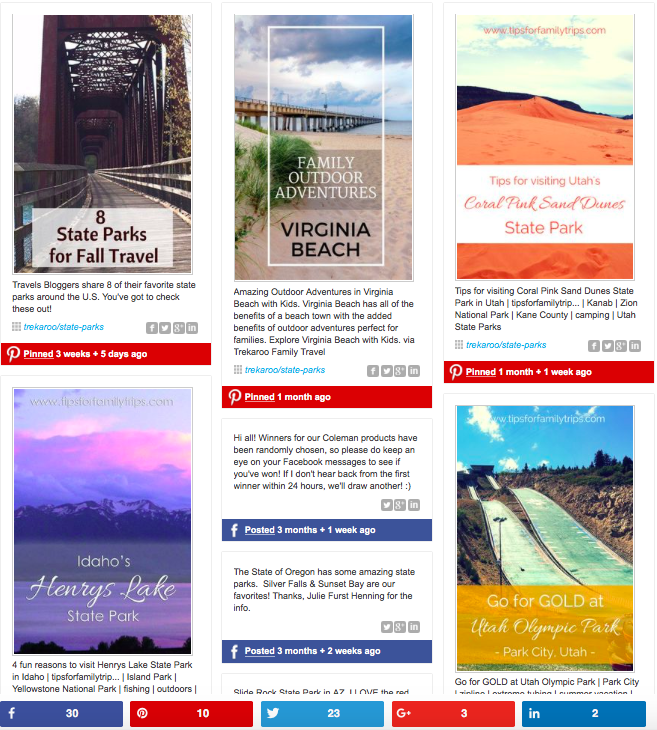 Sampling of #StateParkTreks social media, as Trekaroo promoted state parks across the US and Canada. State Parks Week was one of Trekaroo’s first opportunities to utilize the power of our new Trekaroo Guides. This tool on the Trekaroo website is free for all users, allowing parents to create their own customized itineraries for upcoming trips and to organize the points-of-interest they want to include on a vacation. 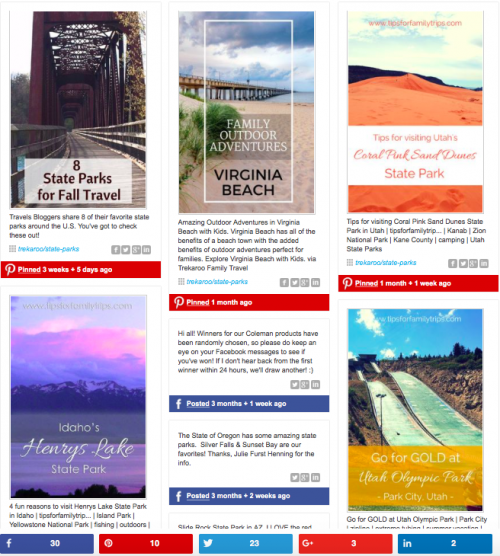 Visit Idaho worked in tandem with Trekaroo to create several guides especially for #StateParkTreks, which were promoted throughout the month of July. State Parks Week was a great opportunity to host a Facebook event. 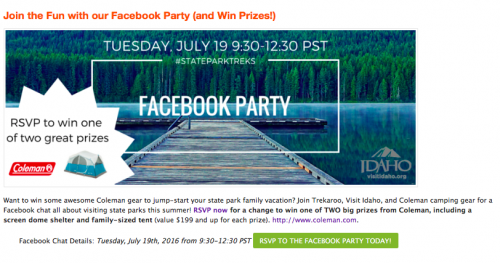 During these fun 3-hour parties, Trekaroo invites experts on camping, the outdoors, and Idaho to answer questions from readers about their summer getaways. 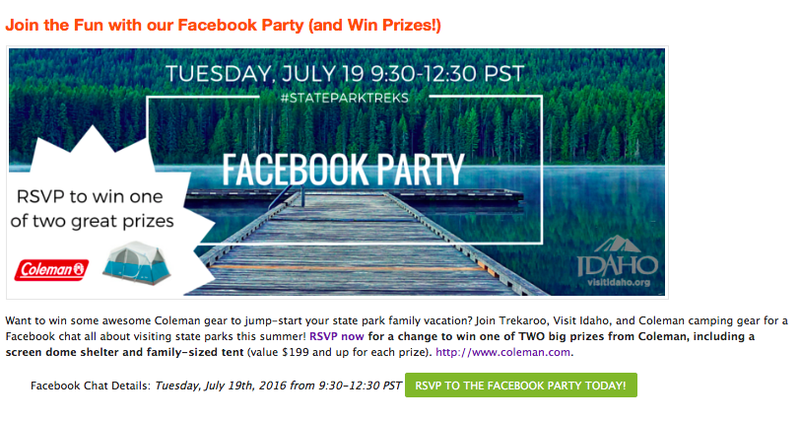 We gave away camping gear, partnering with Coleman, and showcased Idaho state parks with our TIN bloggers, Visit Idaho, and real Trekaroo users who wanted to chime in with their own stories of Idaho outdoor fun. Our Facebook event garnered 97 unique posts within a few hours.